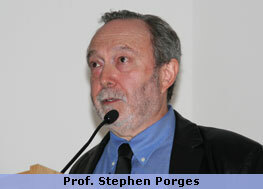 Prof. Stephen Porges: “Love or Trauma – Insights from the Polyvagal Theory”. Professor of Psychiatry at the University of Illinois, director of the Brain-Body Center and author of numerous published papers in the fields of mental health, physiology and psychology. His discovery of “Polyvagal Theory” and the “Social Nervous System” gives new insights into the functioning of the autonomic nervous system. Katherine Ukleja: “Embryogenesis – a Myth for our Times”. Graduated in osteopathy and currently a Course-Coordinator at the Karuna Institute, a senior tutor for the Craniosacral Therapy Educational Trust and highly regarded teacher of craniosacral trainings in England, USA, Switzerland and Russia. Gabrielle Roth: “Cruising Emptiness”. 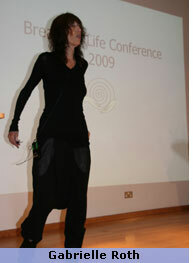 Internationally renowned artist, philosopher, teacher and dancer. She is the originator of “5-Rhythms”, a movement practice for spiritual awakening, and is author of the best-selling books Maps to Ecstasy, Sweat Your Prayers and Connections: The 5 Threads of Intuitive Wisdom. Jean-Pierre Barral: “What are your Organs Thinking?”. Doctor of osteopathy and director of the Department of Osteopathic Manipulation at the University of Paris School of Medicine. He is a world-renowned teacher whose published works include Visceral Manipulation, Visceral Manipulation II, The Thorax, Urogenital Manipulation, Manual Thermal Diagnosis, and Osteopathic Approach to Trauma: Focus on Whiplash. 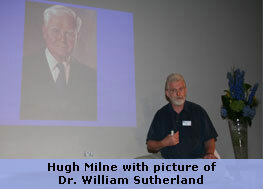 Hugh Milne: “Relationship – the Art of Being”. Craniosacral therapist, osteopath and naturopath, leading international teacher of ‘Visionary Craniosacral Work’, and author of The Heart of Listening Vols. 1 & 2 and The God that Failed. Dr. Anngwyn St Just: “Trauma and the Human Condition”. Psychotherapist, somatic educator and director of the Arizona Center for Social Trauma and ACST International. She has taught extensively in North and South America, Europe and Russia about innovative ways of healing individual and social trauma. For over 25 years she maintained a co-creative relationship with Peter Levine, founder of Somatic Experiencing methods for working with trauma. She is the author of numerous articles and the book Relative Balance in an Unstable World: A Search for New Models of Trauma Education and Recovery. 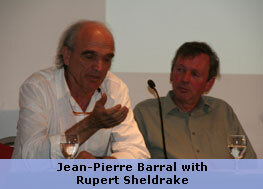 Dr. Rupert Sheldrake: “Morphic Rersonance and Morphic Fields”. 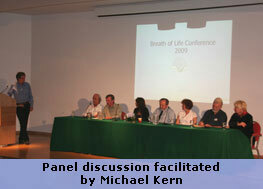 Biologist and author of more than sixty papers in scientific journals. His books include A New Science of Life, The Presence of the Past, Seven Experiments that Could Change the World, the award winning Dogs That Know When Their Owners Are Coming Home and The Extended Mind: Recent Experimental Evidence.